Have you ever been steered away from booking a cruise because of the deposit? Now is your chance to book with a smaller deposit and bigger savings! With Princess’ newest sale, that step doesn’t have to be a pain. 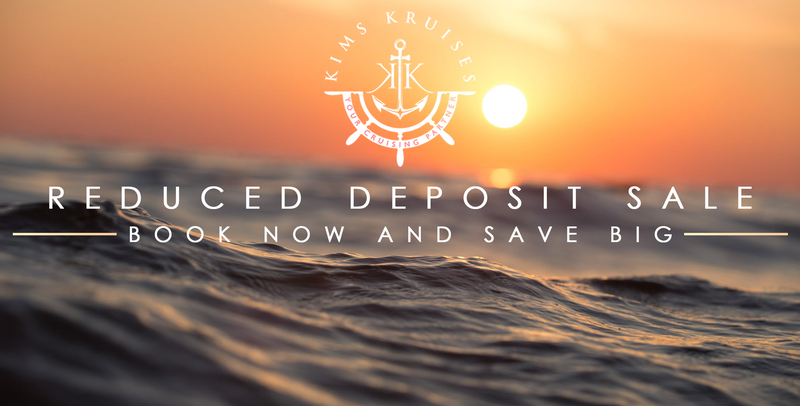 Take advantage of the reduced deposit and coupon booklet for most published sailings, excluding last-minute specials. You will receive a Ship-wide Savings Coupon Booklet valued up to $500 per double stateroom, plus a Reduced Deposit of only $100 per person. Princess is letting you book your cruise with a reduced deposit. Spend less money reserving your spot and receive a coupon booklet in the process. This deal applies to most published sailings, excluding last-minute specials like our Drop & Go sale. Book and deposit a voyage April 22 to May 8, 2019, and receive up to $300 Onboard Credit per stateroom. Plus, take advantage of the Waived Deposit for 2nd guest in the stateroom. Conditions apply. Combinable with marketplace retail offers, Kims Kruises group amenities, Past Guest offers and Military offers.